The history of modernism begins, to cut a long story woefully short, with the emergence of the notion of an individual acting with sole responsibility. This happened against a background of the loss of the churches’ cultural dominance, and a situation driven by the contradictions of a productive sphere geared towards profit. This radical change, often equated with the “revaluation of all values” (Nietzsche), finds its technical and social expression in the industrialization that drastically altered the lifestyles of humankind and, with the intensive development of urban areas, had a very direct impact on architecture. The engineer, by profession, considers just the functionality of materials and uses them, wherever possible, only in the absolutely necessary quantity and size, relying in particular on standardized calculations. This rational principle soon pervaded the building industry and even became compulsory for “architects”. By contrast, not all engineers adhered to the purely functional and necessary, creating bold and even aesthetically innovative buildings that made a radical impact on the idea of what was humanly possible. Therefore, industrialization laid the foundations for a new architecture,“at a time when craftsmanship was metamorphosing into the industrial production process” (Eugène- Emmanuel Viollet-le-Duc). And yet, this transformation was by no means direct and deliberate. Many circuitous routes were taken towards modernism, which can still be said to be “a work in progress”.Modernism is neither an epoch nor a tide of events that points a way forward from any particular historical point in time. Rather, it is on the one hand equated with technological progress and rationalization, but on the other with the loss of traditional values and aesthetics. From this standpoint, modernism must be regarded as a never-finished project concerned with harmonizing Enlightenment hopes for self-determined individuals with social and technological changes. This is quite specifically reflected in the requirements demanded of individual designers: the job specifications for engineers and architects describe specialists not merely assigned to technical projects, but those to whom social responsibility is also entrusted. This can be explained by the special role architecture plays in our lives, as, among all the arts—if we still categorize it like this, although perhaps not necessarily in the most serious sense—it certainly ranks among those that most influence people, yet in the subtlest manner. In fact, it is so much a part of the perception of our daily reality that the whole of our activity in perceived space is also activity in formed space: each person has an architecturally defined home. Even for those of us who, because they have no house, have to sleep under a bridge, every building is associated with the function of protection and warmth. As a living space, the city is defined by architecture. Even the countryside is structured by culturally typical settlements, representing residences and destinations according to which our world view is established. That our perception of the world is linked with the structuring of space—and time—and that these factors have changed with industrialization, has been common knowledge, at least since Wolfgang Schivelbusch’s The Railway Journey. The fact that the processing of this transformation in the cultural context takes time complicates our consideration of causes and effects. Here we can no longer speak of the inertia of the human being who is still, as in Richard Neutra’s biorealistic theory, carrying round the genes of life on the steppes. The artist, as for example in Theodor Fontane’s poem “The Tay Bridge”, is allowed to make mistakes, but when the iron structure of a collapsed bridge mutates down to the frame, the architect must immediately prove fitness for function. Architecture, therefore, doubtless has a special role, though many will question its character as art at all. From the moment of its handover, architecture is immediately and essentially measured on the grounds of its usability. It does not enjoy the same space for progressive development as other arts. This argument has led to some dispute over the quality of architecture as an art, as, for example, is still reflected in the German word for architecture,“ Baukunst” (the art of building). Yet, when we observe the history of architecture, it becomes clear that no building has automatically developed purely from the application of functional and technical specifications. Rather, even in the case of what are known as the functionalists, basic assumptions of an aesthetic nature have crept into the creation of form. As in art too, self-referential expression by the architect as creator of a building must not necessarily be accepted without criticism. He is, after all, a creative person through whom spontaneous suppositions are translated into experience. Gropius wrote this from the self-confidence of someone imagining himself to be on the right path and seeing the end of an age essentially in search of a new style in tune with the industrialized world. This period, largely coinciding with the 19th century, in which stylistic pluralism led to an arbitrariness generally felt to be deficient, was finally superseded by an epoch in which the concept of style in itself became obsolete. Even in 1914, Henry van de Velde was of the opinion that “for 20 years, some of us have been seeking the forms and embellishments that perfectly correspond to our time”. But it was already clear where the journey was leading: to a functionalism referred to in 1932 as the “International Style”, which rid itself of all ornament. Functional spaces and “appropriate” or “true” use of the available building materials formed part of the foundations of neo-realism. Its representatives demanded simple design, without any historicist overtones, and functionality that was geared towards prefabrication and mass production. Neither the temporal nor the geographical space in which this movement came into being can be clearly defined. 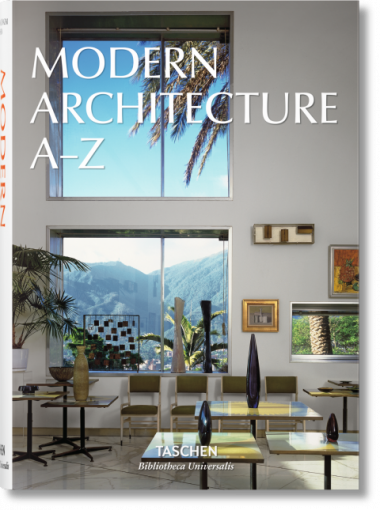 By 1927, modernism had asserted itself on the architectural scene, with flat roofs, white stucco façades, straight lines, open plans, steel frameworks and horizontal strip windows becoming for a time the standard must-have features of every modern building. Its architects were united in their rejection of architecture as fine art, and of traditional architectural teaching, and strived to form their own theories and create new schools such as the Bauhaus in Germany and VKhUTEMAS in the Soviet Union. The 1928 CIAM conference, under the leadership of Sigfried Giedion and Le Corbusier, set out what has become known as the Declaration of La Sarraz, which had a great influence on the idealistic teaching of modern architecture. Even Le Corbusier, who, with his radical urban planning designs, was often misunderstood, realized that all the pamphlets and declarations remained unsatisfactory in the face of reality: “For me the word architecture denotes something more mysterious than the rational or functional, something that predominates, imposes itself... it is without doubt a human need to have warm feet and yet my sensibility rather responds to a need that is based on harmony and that is worth more than an American Hummer, a glass of champagne or a fresh salad...”. When Julien Offray de La Mettrie extended René Descartes’ mechanistic world view into the exaggerated notion of “l’homme machine”, it was also in the end machines that cure man of his suffering and free him from his diseases. This did not work, this outlook has proved untenable and neither has the functionalist approach proved to be the last word in architecture. Space will not allow itself to be mechanically defined. Attempts to capture it in modules and Modulors have remained experiments. The failure of Le Corbusier’s urban planning at Chandigarh is just as much proof of this as the blowing up of the social housing system at Pritt-Igoe and, ultimately, the discomfiture of every individual with the simplified forms of modern architecture that impinge on him at every turn. These are often imposed by purely commercial dictates and are deliberate intrusions on the artistic independence of architects capable of designing space beyond rationalistic calculation and with so much more to offer than what is found in a construction cost calculation. Julius Posener has insisted on the error and the danger of wanting to define modernism from one’s own historically limited perspective. And because it is not appropriate to seek a mould when we do not as yet know the final form, we can indeed regard modernism only as a project and, like the individual architects working with awareness of this problem, treat it as such. Modernism’s differences are often more remarkable and take us further than the similarities. They point to the special characteristics of the individual building in its environment, its historical situation, its users, but the similarities indicate only categories that have been created by art or architectural historians and in general barely lead any further.